1. The applicant should possess MBBS Degree of any recognized University by the Medical Council of India in the allopathic system of medicine and the preference would be given to Doctors possessing MD degrees. 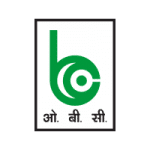 Oriental Bank of Commerce recruits part time Doctor Posts. Candidates with MBBS can apply. Oriental Bank of Commerce (Hindi:ओरिएंटल बैंक ऑफ कॉमर्स) is an India-based bank established in Lahore (then the city of British India, and currently in Pakistan), is one of the public sector banks in India. Rai Bahadur Lala Sohan Lal, the first Chairman of the Bank, founded OBC in 1943 in Lahore. Within four years of its coming into existence,OBC had to face Partition. The bank had to close down its branches in the newly formed Pakistan and shift its registered office from Lahore to Amritsar. Lala Karam Chand Thapar, the then Chairman of the Bank, in a unique gesture honoured the commitments made to the depositors from Pakistan and paid every rupee to its departing customers. The Bank has witnessed many ups and downs since its establishment. The period of 1970-76 is said to be the most challenging phase in the history of the Bank. At one time profit plummeted to ₹175, that prompted the owner of the bank, the Thapar House, to sell / close the bank. Then employees and leaders of the Bank came forward to rescue the Bank. The owners were moved and had to change their decision of selling the bank and in turn they decided to improve the position of the bank with the active cooperation and support of all the employees. Their efforts bore fruits and performance of the bank improved significantly. This was the turning point in the history of the bank. The bank was nationalised on 15 April 1980. At that time OBC ranked 19th among the 20 nationalised banks. In 1997, OBC acquired two banks: Bari Doab Bank and Punjab Cooperative Bank. The acquisition of these two banks brought with it no additional branches. The bank has progressed on several fronts, crossing the Business Mix mark of ₹2 lac crores as on 31 March 2010 making it the seventh largest Public Sector Bank in India.